Our new Purposeful Practice grid for weeks 4 and 5 went home with your child today. Completed grids are due Friday 17th August. Welcome back to another busy term! 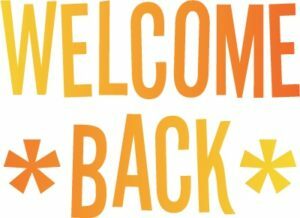 Our Welcome Back Newsletter outlines some important information for the term ahead! Our latest writing genre has been procedure writing and we are loving it!! 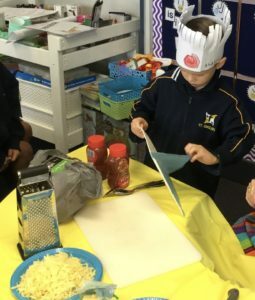 We have discovered that you can write procedures on just about anything – from getting ready for school to playing your favourite game and making your favourite snack! 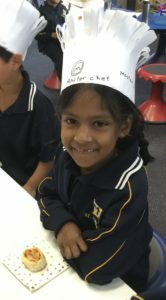 We love to cook in Year One so we decided that as a special treat we would play Master Chef and use our cooking experience to practice our procedure writing. 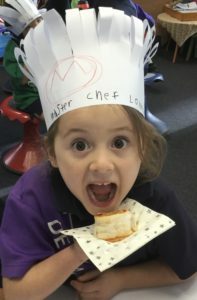 We followed a procedure to make our own Master Chef hat…every chef needs a hat! 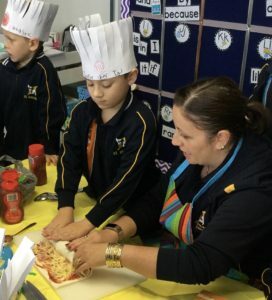 We then followed a procedure with Chef Roberto to make Pizza Pinwheels! A good chef must have clean hands! Peeling the plastic off the pastry is very important! Rolling the pastry was a little tricky! Placing the pinwheels on the tray! Liam and Charli had a tough job…carrying the trays without dropping any pizzas! The finished product looked delicious! Waiting patiently before the big taste test! We know that a procedure must include: a title, a goal, a list of materials and a list of steps written in the correct sequence…each step must also begin with a verb! 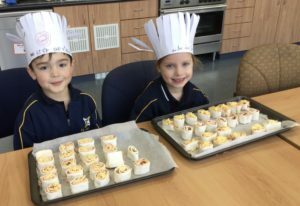 After our cooking extravaganza we each wrote our own procedure for making Pizza Pinwheels making sure to include all of the above! We are looking forward to having fun with our next procedure! 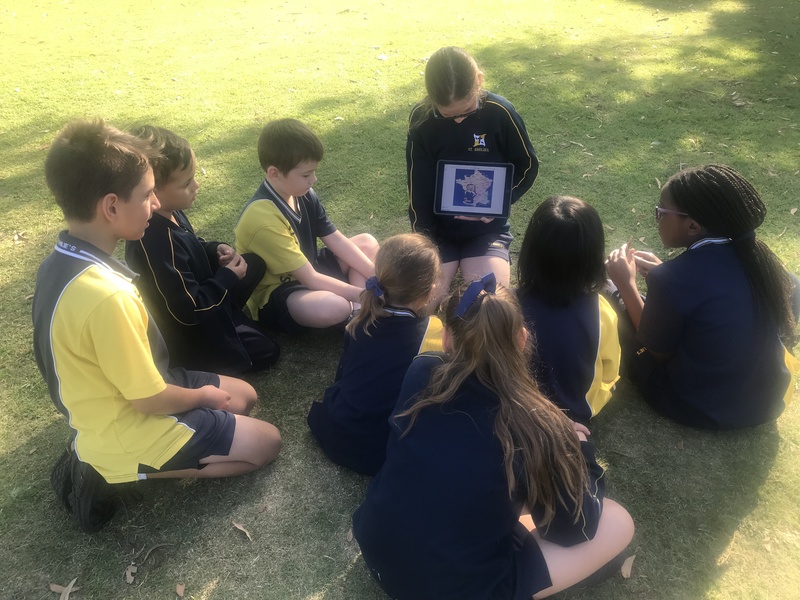 The Year 5’s celebrated St Emilie’s Day by making a Kahoot Quiz and a Puppet Pal video on ‘The Life of St Emilie’. 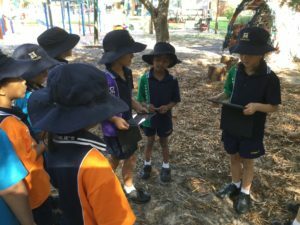 In the afternoon we got together with our Year 1 buddies to share our activities. 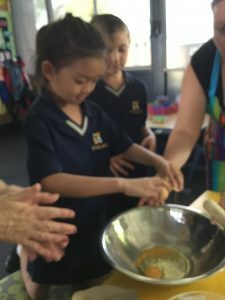 What’s Been Happening in Year 1B? 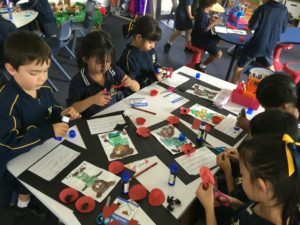 We reflected on Anzac Day while reading the story Anzac Ted. 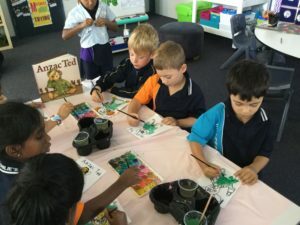 We created our own portrait of Anzac Ted to accompany our ideas about the importance of Anzac Day. 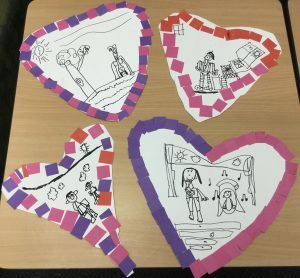 We loved designing and creating our special gift for mum! We thought about the materials we used, the steps we followed and any problems we encountered while creating our picture frame. We each drew a very detailed drawing of our mum to go inside the frame! We have enjoyed learning about the features of places. We went on a hunt around our school and found examples of natural, constructed and managed features. We decided that some things we found could be classified as all three! We are enjoying learning about 3D shapes! We challenged ourselves and made models of 3D shapes using matchsticks and mini marshmallows…it was a little tricky and sticky! We had so much self control with those sweet smelling marshmallows! 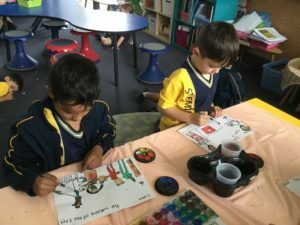 We have been discussing just how special our bodies are. 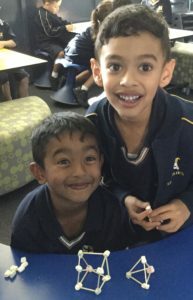 We have learnt about our senses and loved hearing about each others favourite sounds and smells. 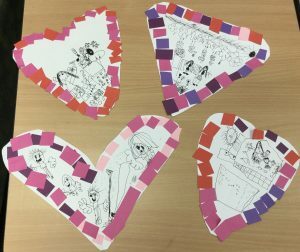 We read and illustrated the special story The Washing of the Feet and shared our understanding of how Jesus used his body to show love. We have been investigating the different types of lines and colours artists use. We made our portfolio cover pages by experimenting with a range of lines and painted using either warm or cools colours. We can’t wait to show you more of our special work at our very first 3 Way Interview in Week 6! 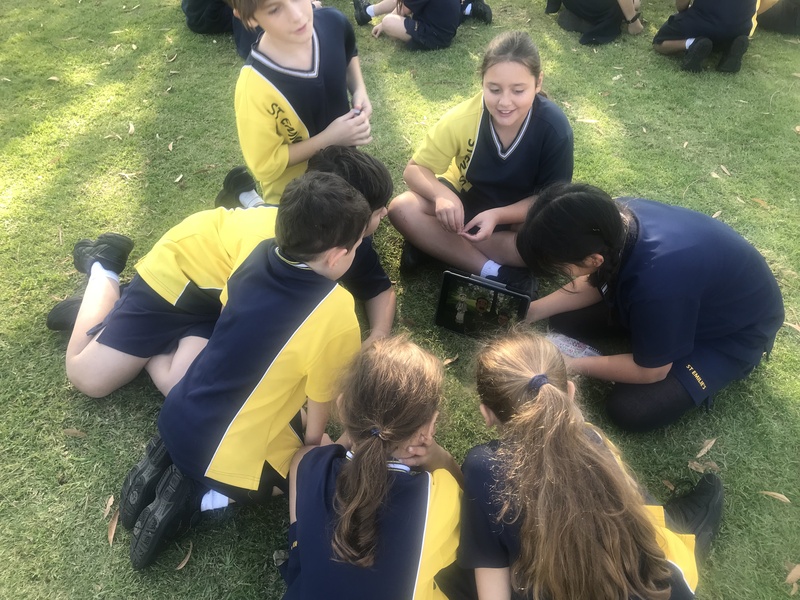 This term the student’s learning experiences will be focused on the Science Understanding of Earth and Space Sciences and integrating with the whole school Mappen concept of CHANGE. Year one students will consider the changes in the night and day sky. Students will make predictions and scientific observations about the daily, weekly and seasonal changes that they observe in their local environment. They will use their understandings about day and night to make observations about the changes nocturnal animals make to adapt to their environments. I am waiting to hear from the Backyard Bandicoot project at Murdoch University as our resident Southern Brown Bandicoot is still inhabiting our bushland. I have invited Natasha Tay to make a presentation about bandicoots to the students. Year two students will consider the changes in the night and day sky. Students will make predictions and scientific observations about the daily, weekly and seasonal changes that they observe in their local environment. 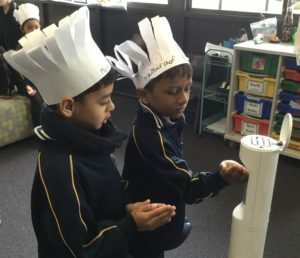 They will use their understandings about day and night to make observations about the Earth’s rotation, how shadows are formed and participate in role plays to show their learning. 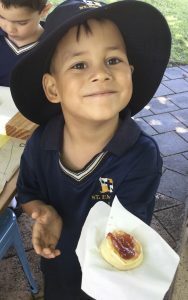 The Year 2 students will also commence the Seed Potatoes for Schools Project (an initiative through WA Potatoes) and plant their seed potatoes towards the end of term 2. 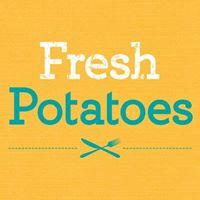 WA Potatoes will support the students throughout this initiative. Year three students will explore the changes in size, shape, position and movement of the Earth, Sun and Moon. 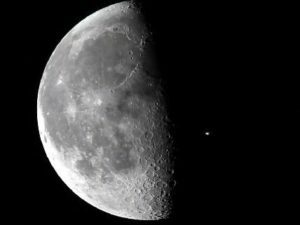 They will investigate how shadows change throughout the duration of the day and link this new knowledge to changes in the Sun’s apparent movement across the sky. Through a unit on the Earth’s rotation the students will learn how the changing patterns in the sky relate to days, months and years. Students will understand how observation and models can be used to shape their ideas and understandings through hands on activities. 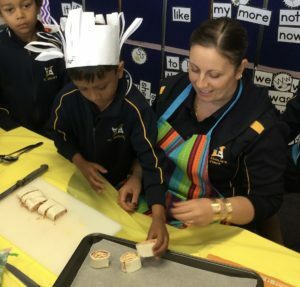 Students will explore the changing face of the Moon, explore Aboriginal astronomy and investigate the changing Noonjar season of Makaru. 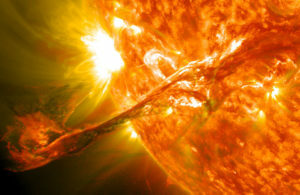 Students will learn about the concept of change through a unit about the Sun, Earth and Moon. Students will understand how observation and models can be used to shape their ideas and understandings through hands on activities. Students will investigate the light spectrum and explore the solar system by using Celestia and Stellarium (a planetarium app). Students will also share how Science for Human Endeavour impacts our lives by sharing articles from the Double Helix magazines. Through the concept of Changethe students will understand the causes of earthquakes and how they change the Earth’s surface. Students will also learn how changesto our local water supply have benefits for the local population. 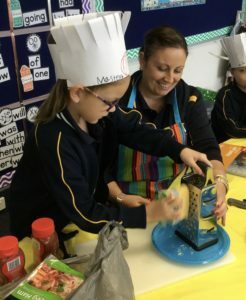 As a Waterwise School, we have been invited to the Ground Water Replenishment Facility in Craigie on Tuesday 29 May to learn about the future initiatives of our water supply. 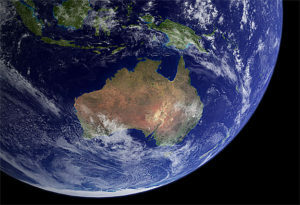 The students will also have an incursion from Earth Sciences WA about ‘Chem Rocks’. Students will be investigating the chemistry of soils and testing lime to help out a farmer with their crop. Robogals an initiative from the University of WA will also be giving a robotics workshop to the Year 6 girls on Tuesday 22 May. Perhaps you could sit down and watch and discuss some space -related TV programs? 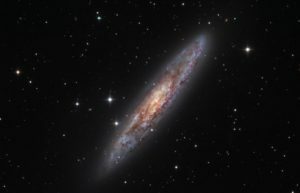 There are some wonderful programs about stargazing currently on ABC TV. Maybe you could make some space models together at home? What do you know about bandicoots? Perhaps you could do a little research! Why not buy a Double Helix magazine online and read some articles? 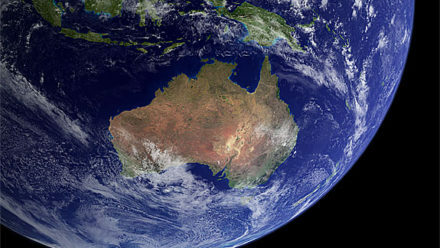 Why not go for a visit to the Planetarium at Scitech! The following newsletter outlines some of the learning for the term. Enjoy the first week back! 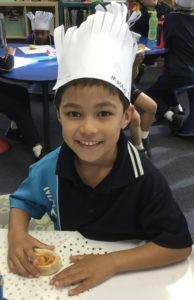 Each week the Year 1 children will have been introduced to a new phonic sound in class and they will also have completed a variety of activities to help them spell words with our focus sound. The children have completed a mini spelling quiz to determine their focus sound and will now bring home a list of words to practise. We suggest keeping all the spelling sounds in a display book or folder for easy access throughout the year – they are yours to keep at home, in a safe place. 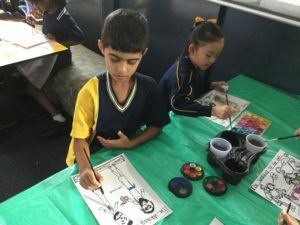 Our aim is to make spelling relevant and fun! 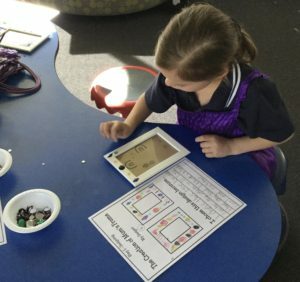 PS In class, while children will have access to charts and word banks, they will be supported to ‘have a go’ at spelling in their daily writing. 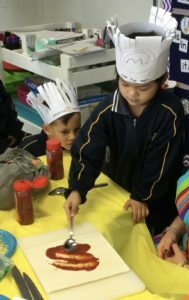 Spelling is a developmental process in these early years and we will continue to support and celebrate their many attempts to hear sounds in words, so that they feel confident as writers! Please find attached a copy of our Purposeful Practice Grid for Weeks 4 and 5. A copy was also sent home with your child today via their blue note folder. Completed grids are to be returned: Friday 2nd March. Please continue to hunt and gather photos for our Identity Timeline activity! 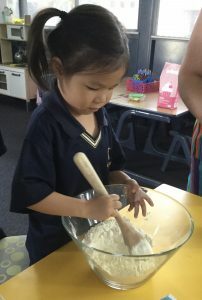 Celebrating Shrove Tuesday in Year One! 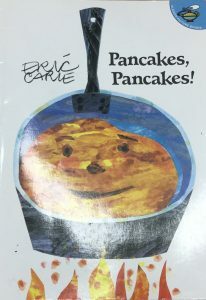 We began our morning by reading a book by Eric Carle called ‘Pancakes, Pancakes!’ and learnt some interesting information about where all the ingredients in pancakes actually comes from! We spent time talking about the special time we are now entering called Lent and the significance of Shrove Tuesday and Ash Wednesday. 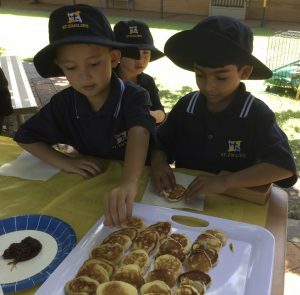 We learnt that Shrove Tuesday marks the day before the beginning of the long fast of Lent. The custom of making pancakes arose through the need to use up food items, which were forbidden during Lent. We put our Master Chef skills to the test and made our very own mini pancakes! 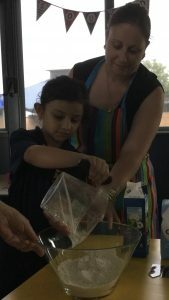 We measured, stirred and even cracked the eggs! 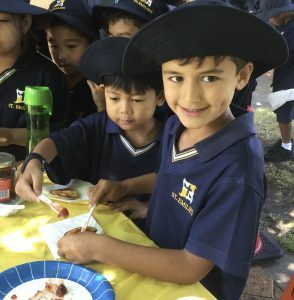 Our finished pancakes were delicious! 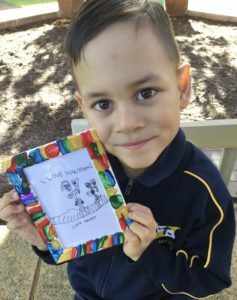 We each created a special Lenten Promise – something we would try hard to do during Lent. Many of our Lenten Promises involved helping others and showing Kindness to our friends and family. We are looking forward to putting our ideas into action!